BG Suzanne P. Vares-Lum was promoted to major general in a ceremony held at Washington Place. Attending the ceremony was her family and friends, her current and retired military co-workers from the Guard and active duty. BG Kenneth Hara provided comments as the MG Arthur “Joe” Logan was off island. 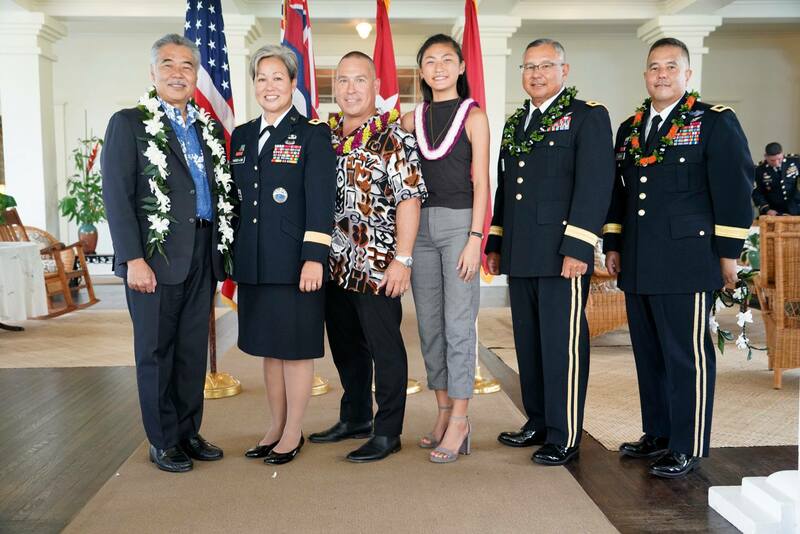 She was pinned by Governor David Ige and her husband LTC (Ret) Courtney Vares-Lum. MG (Ret) Gary Hara administered the Oath of Office.